In a large skillet heat olive over medium heat, add bacon then fry until golden brown and crispy. Remove bacon from pan leaving the oil, set it aside. Add the onion, garlic and celery then sauté for two minutes. Add the capsicum then continue to sauté for 2 more minutes. 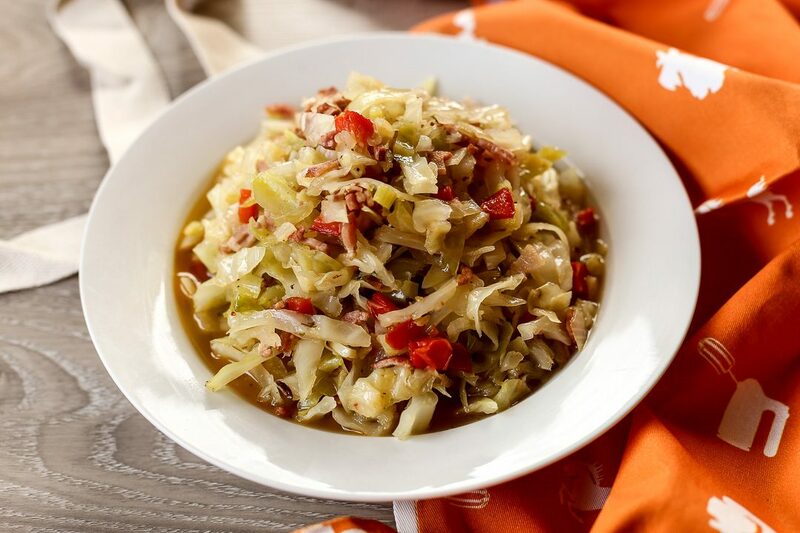 Add the red pepper flakes, cabbage and chicken stock then mix it well, cook cabbage for 15-20 minutes or until cabbage is really tender, add the apple cider vinegar then toss back the bacon.